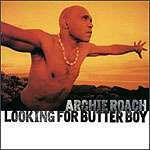 Archie Roach's long life partner was Ruby Hunter who was also a singer-songwriter. She passed away in February 2010. Releases: 1990 (Aurora, Australia), 1992 (Hightone, Canada), May 1999 (Warner). 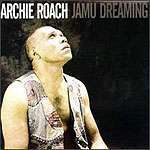 Archie Roach contributed track 26 to this album. 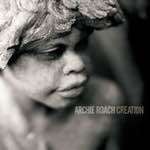 This album captures some of the first ever recordings by a young Archie Roach. 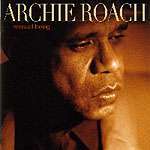 As a bonus at the end of the CD is an interview with Archie recorded on March 1st 1988, followed by a short interview recorded 20 years later in September 2008. The cover shows a blood cell on the left and a detail from a painting by Robert Lowe Snr on the right. 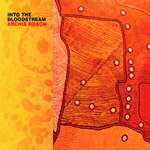 The painting depicts the Aboriginal mission at Framingham, south-west Victoria, where Archie grew up. The 18 dots represent the mission huts. 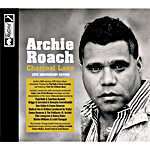 This is a new edition of Archie's classic debut album Charcoal Lane to celebrate its 25th anniversary. 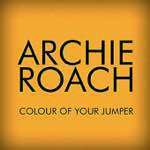 It includes a 2-CD set featuring Archie’s ARIA-winning 1990 debut album remastered, together with a second disc featuring previously unreleased Triple-J Live At The Wireless recordings and new interpretations of classic Charcoal Lane material.